IndigoVision’s Software Development Kit (SDK) has just got even better with a NEW ‘Control Center Site Database SDK’ component added to the existing offering. The NEW ‘Control Center Site Database SDK’ component provides access to information held in the Control Center site database, including camera names, credentials and primary NVRs. Programmers can use this information, for example with the Control Center Video SDK, to stream live video from a camera or recorded video from an NVR. IndigoVision’s complete SDK allows software developers to integrate third party applications with IndigoVision to provide the flexibility and choice needed to create a customised, reliable and future-proof security management solution. 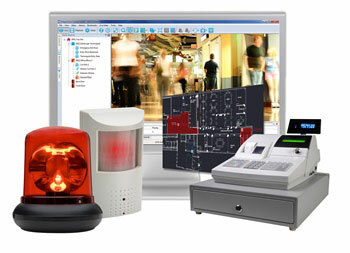 The complete SDK is made up of six components across two categories; ‘Action or Alarm Related’ and ‘Video Related’. For more information about the full SDK and individual components download the Software Development Kit Datasheet or contact us now to speak to one of our team. Our linguistic experts are called Integration Modules. They act as translators so the various surveillance applications can speak to you and you can speak to them. They convert all the applications and put them into a single application – Control Center. Control Center then makes the information smart and actionable. It clears your desk as it clears your mind. Forget the myriad of monitors. Everything is on the screens of Control Center. next post: The NEW 4K Cameras have arrived, completing the extensive BX Camera Family!